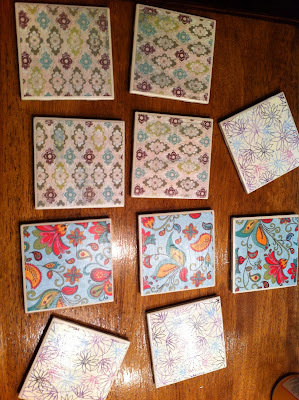 Did you know you could make your own coasters? For less than 25 cents a piece? Yeah. You can. 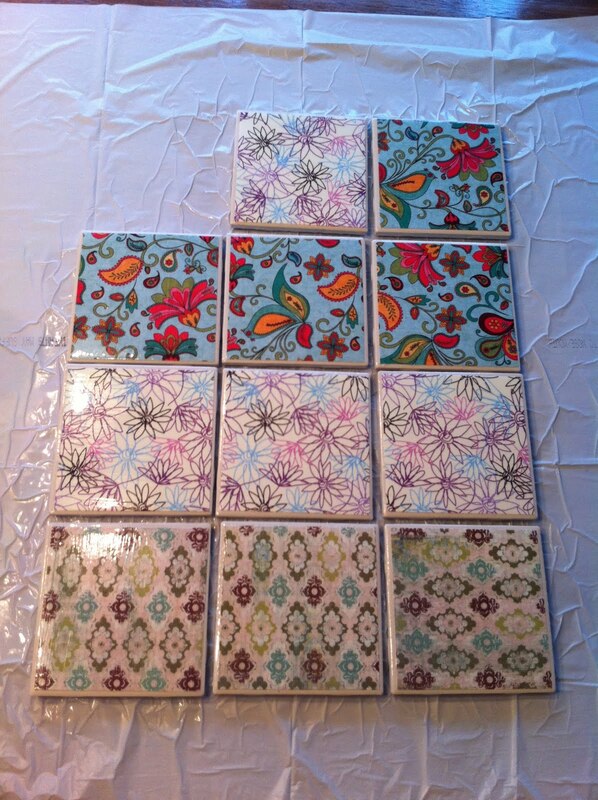 Ceramic tiles (from home depot or lowes....don't pay more than about $.13 for them. 3. Paint a layer of modge podge over the scrapbook paper, make sure you get it totally covered. Let dry. 4. Spray a layer of clear sealant over the tiles. Let dry. 5. Attach felt circles to the tile bottom corners.